Have you decided that you are ready to begin the process of buying a home? If so, it is important that you know what you are getting into. You need to have the right resources at your disposal, and know who to turn to. Buying a home is not a simple process, but it also does not have to be a complicated one. Knowing these considerations first, makes it a bit easier. One of the bigger mistakes people make is buying a home that is perfect for them right this moment, without thinking about the future. When buying a home, you want a home that is ideal for right now, plus will still work for the expected changes in your future life. Just because you do not have kids now, for example, does not mean you should avoid buying a home with extra bedrooms if you plan on having them. Think about what tomorrow will bring, and make sure your home works for that life, too. Each stage of buying a home involves some type of contract. You will likely feel like you are signing your life away at certain points. However, contracts are not all written in stone. If you do not like something in a contract, find out what options you have to make it something you do like. Talk about current contract wording, and figure out how to make it more pleasing when it does not meet your needs. You do not need to buy a home that works for anyone else. It has to work for you. While many areas of the country are LGBT friendly, not all specific neighborhoods are. On the contrary, some of the more conservative areas of the country are also far more welcoming than you may expect to members of the LGBT community. Make sure you look around the neighborhood before you sign on the dotted line. The last thing you want is to ignore a home that would be ideal simply based on the neighborhood. One of the most important parts of buying a home is making sure you use a Realtor during the process. There are a lot of great realtors out there, no matter what part of the country you live in. If you want the help of an LGBT friendly realtor, you can find one here on this site. Just make sure you find someone you like working with, and you trust their word. It makes the entire process a lot easier! Before buying a home, make sure you know what you want out of it and what the buying process encompasses. Hopefully these tips help make it easier for you to get the home of your dreams! When people think of moving to New York, the first city that pops into mind is New York City. While it’s the largest and most populous city in the state, its cost of living may be much too high for some people. NYC is very welcoming and has many LGBT people living in it, of course, but it may not be right for you. If you’re moving to New York and want to find a place where you won’t feel like an outsider, but also won’t feel as if you’re always on the edge of being broke, here are a few suggestions. Buffalo is only an hour away from Canada and Niagara Falls, making it a great location for those who may want to visit our neighbor to the north. Buffalo is home to the Pride Center of Western New York, which offers a good number of different programs and events throughout the year. The city also hosts Buffalo Pride Fest every year. The city has a growing arts scene, too. Your gay or lesbian real estate agent will be able to point you to an area of Buffalo that’s quite affordable, too. Ithica is home to two major educational institutions: Ithaca College and Cornell University. That means it’s the definition of a college town. This rural area is fairly quiet in places, and its home to a number of LGBT bars and other businesses. Farmer’s markets, food festivals, and other food-related events are fairly popular here, too. If you love outdoors, you’ll enjoy spending time hiking in the nearby hills and viewing the 100-plus waterfalls that are spread throughout the area. Albany is the capital of the state, and it’s also home to the U.S.’s very first LGBT community center. That adds a bit of history to the city, and today, Albany continues to show its support to the LGBT community. It has a very active pride group that hosts Capital Pride every year. If you’d like to try something a little different, there’s the Big Gay Cruise down the Hudson River. That’s a lot of fun for those looking to network with others in the LGBT community. 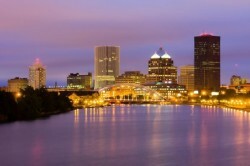 Rochester is the third-largest city in New York, and it’s also home to a couple of great universities. The city hosts the Rochester Pride festival every year, plus Rochester hosts the ImageOut LGBT film festival every year. If you’re looking for a larger city to call home, Rochester may be perfect. While many cities and states have become more welcoming of LGBT individuals over the years, there are still some places where lawmakers haven’t provided any protections for these people. Some, such as Texas, have actively worked to pass laws that restrict LGBT people. For example, Texas recently passed a law that allows child welfare organizations to refuse couples based on religious beliefs. But how rare is this? These numbers will help shed light onto the current LGBT situation in mid-2017. 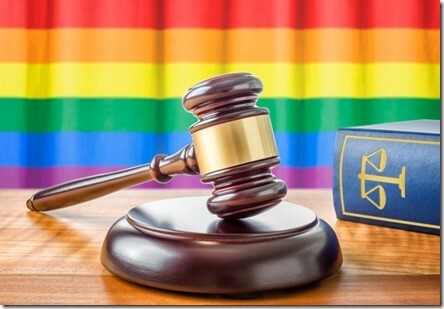 First, it’s important to note that even when one state has a specific law regarding LGBT individuals, some cities within that state may actually offer many protections and be very welcoming. You do need to do some research before deciding where you’re going to move. 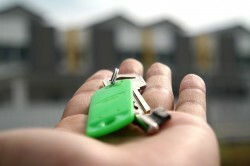 Gay and lesbian real estate agents can help you learn more about any potential place to live. When you compare states that have laws protecting the LGBT community verses those that don’t, it can be difficult to tell exactly how many are pro and how many are con. That’s because some have laws protecting things such as housing and employment, while others may have laws protecting adoption and employee benefits. Some states may even have laws, such as the one in Texas, that allows adoption agencies to discriminate, but then turn around and have strong hate crime laws. However, overall, you can say that the states on the west coast and those in the northeast tend to have more protective laws than those in the south and Midwest, which tend to have more anti-LGBT laws in place. This isn’t always true, but it is something to keep in mind. When it comes to hate crime laws, the Human Rights Campaign lists 20 states that do not have hate crime laws that specifically protect the LGBT community. Again, these are mainly in the south, but a cluster of states in the northern part of the state, including Montana, North Dakota, and Idaho, also do not have hate crime laws that address the LGBT community. Then there’s Texas and Tennessee, both of which most people would consider as more conservative, which do. There are 29 different states with no laws preventing establishments from engaging in discrimination. The establishments in these states are free to refuse service to LGBT individuals. In 28 states, there are no protections for employment, meaning LGBT workers can be fired simply because of their sexual or gender preference.